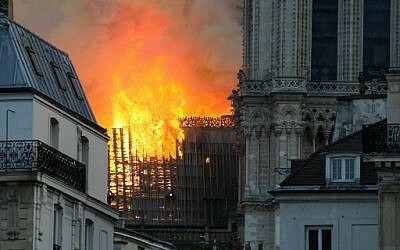 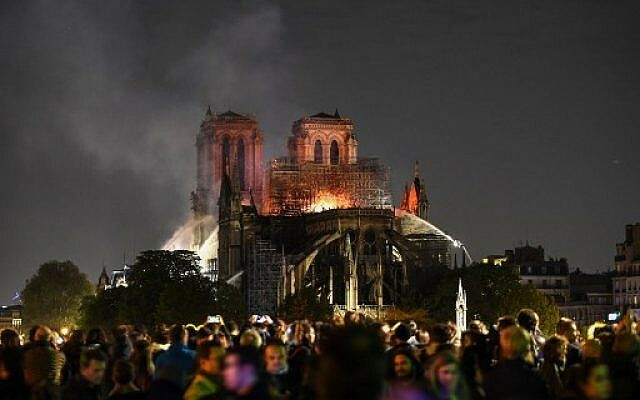 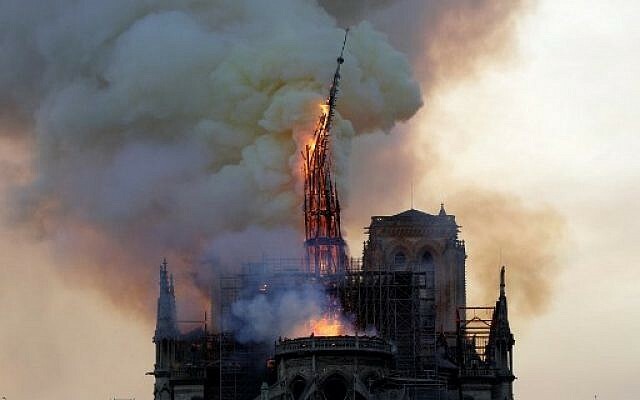 Around 400 firefighters had been dispatched to stop the destruction of the Medieval cathedral in Paris on Monday evening, describing the blaze as “difficult” to handle.Dozens of fire vehicles were at the scene while high-pressure hoses could be seen spraying water onto the collapsed roof and nave area, suspended from cranes. 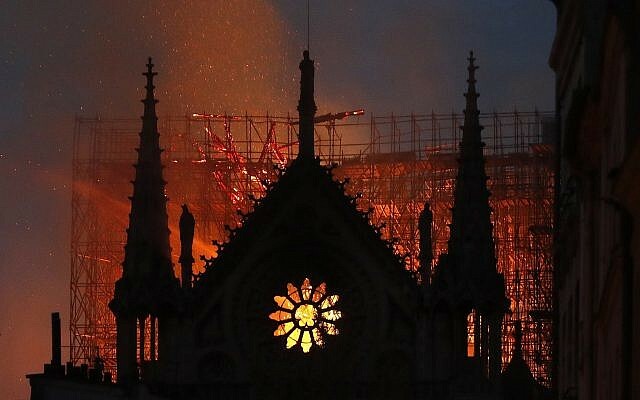 Smoke and flames rise following the collapse of the roof and steeple during a fire at the landmark Notre Dame Cathedral in central Paris on April 15, 2019. 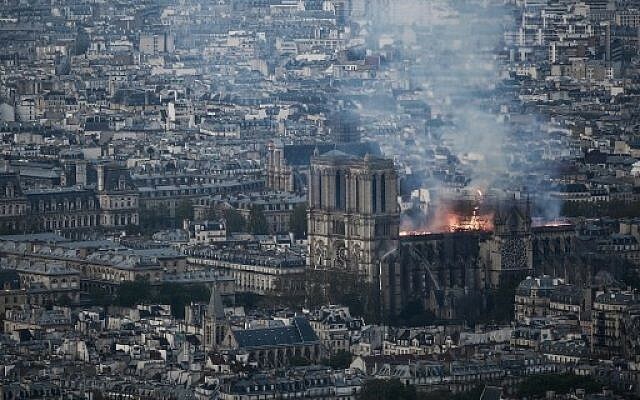 Flames and smoke rise from Notre Dame cathedral, as it burns in Paris, on April 15, 2019. 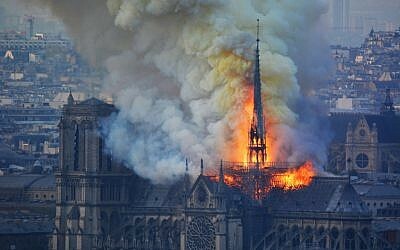 Next articleIsraeli scientists unveil world’s first 3D-printed heart with human tissue!